Dmitri Shostakovich was born in St. Petersburg (now Leningrad) and died in Moscow. His entire musical career was therefore spent within Russia's Communist system, and in many ways it is clear that he had to strike a balance between his own artistic inclinations and the demands of the state. Whether that was a harmonious "balance" or skewed his music in terms of both content and style has been much debated. He was taught by Glazunov among others, learning piano and composition and graduating from the St. Petersburg (Petrograd) Conservatory at the age of 19 with his first symphony. This is a youthful, precocious work demonstrating his musical talents in no uncertain terms, with some similarities in approach to Prokofiev's Classical Symphony. Though this was an early success, his music didn't always enjoy the approval of the Soviet authorities. His opera "The Nose" received some criticism and "Lady Macbeth of the Mtsensk District" received oven more. In later years he was to enjoy more artistic freedom, but under Stalin composers and other artists ran the risk of their work being labelled anti-state "formalism". In some cases this could lead to "disappearances" so the threat was very real indeed. Shostakovich withdrew his 4th symphony before its premier for this reason and it wasn't performed until later under more liberal times. Some of Shostakovich's work seems to be simply paying his dues as an upright citizen but in many cases, although his music might outwardly be conforming with the party line, there is nevertheless the feeling that he is rebelling against this. 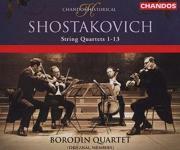 The music of Shostakovich is quite distinctive. It is frequently quite classical in structure, yet not in a strict sense. It is also highly romantic in its way of delving deep into emotions, yet it will frequently use frivolity or a coarse, biting sarcasm to make its point (see the article Humour in Music for examples). The extreme use of parody and irony reminds the listener of Mahler and the sounds can be quite striking and modern. In this sense Shostakovich's music represents something of a synthesis of elements from different musical periods. Likewise the composers who have influenced Shostakovich come from a variety of periods. He admired Bach and produced his own set of 24 preludes and fugues in every key for piano. Also like Bach he "signed" some moments of personal significance in his works with the initials DSCH in German music notation as the Baroque composer had previously done with the letters BACH. He was influenced by the symphonic structures of Beethoven and used other very classical forms like the concerto and string quartet. He was a great admirer of the works of Mahler and one mannerism apparently picked up from Mahler is the use of martial sounding material in his symphonies. He also learned much from his own countrymen such as Glasunov and Prokofiev, and was an acquaintance of Aram Katchaturian. He became friends with Benjamin Britten and here there was also an exchange of musical ideas, (It is also interesting to note that Britten also admired the music of Mahler and took steps to introduce it to a wider audience.) see for example Britten's Simple Symphony for Strings and its relationship with the Prokofiev and Shostakovich first symphonies. His son Maxim followed in his Dmitri's footsteps as a pianist and conductor, and a great interpreter of his father's work. 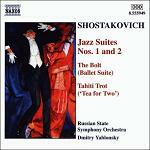 The music of Shostakovich is more traditional and therefore more approachable than much 20th century music. It has therefore found a regular place in the concert hall. There has been much commentary to the effect that you need to understand the circumstances of its composition to appreciate Shostakovich. This is rubbish. It is true that Shostakovich like other composers has placed some hidden messages in his music, and it no doubt adds a different perspective to understand what was in the mind of a composer during the creative process, it is far from essential. 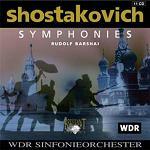 Any good music must stand up in its own right, and the music of Shostakovich does this admirably. The music of Shostavich has also been criticised by intellectuals as lacking in innovation, as though innovation was inherently good and tradition inherently bad. This model of the creative process makes composers and artists nothing more than engineers and scientists striving to record ideas in a patent office so that they can lay claim to them. Pictures of Shostakovich always depict a serious countenance suggesting a man lost in his inner thoughts. His music also suggests hidden depths as though this was his main method of communication. Also the feeling is unmistakeable (even if you are unaware of the circumstances of composition) that the composer is not always being direct but sometimes cicumspect in the manner of expression. This is not always the case though, and emotions shine through in many places including anger, bombastic stubbornness, sometimes light playfulness and also a deep sadness and depression. The memoirs of Shostakovich have been published under the title "Testimony" by his friend the musicologist Solomon Volkov. These were said to have been related to Volkov and smuggled out of Russia to be published after the composer's death. Originally the authenticity of these memoirs was questioned, but now they are generally accepted to be the genuine thing. They describe reminiscences from the composer's life and interaction with friends, relatives, other artists and state politicians including Stalin. They also paint a picture of a man whose means of expression were restricted by the regime he lived and worked in, a man torn by circumstances where ideologies dictated artistic expression yet expected great things from its artists. Paradoxically this severe circumstances may have shaped his creativity into something more profound than it might otherwise have been if unrestricted. Although quite rare, you can see footage of Shostakovich on several youtube videos. For example this Shostakovich Playlist starts with a few interview questions (see a translation in the comments) and rehearsals for his 15th Symphony. And in this video you can hear Shostakovich playing his Second Piano Concerto (1st movement with links to other movements). Shostakovich leaves a wealth of music. This is a brief outline of the major works of which the Symphonies and the String Quartets are worthy of much further investigation. Jazz Suites 1 and 2 - these collections of film and theatre pieces are now popular concert works, the 2nd Waltz from Jazz Suite No. 2 was used recently on the Stanley Kubrick film "Eyes Wide Shut"